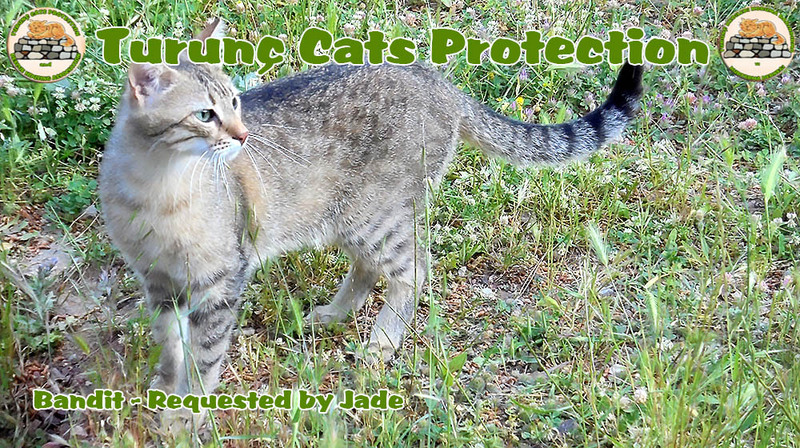 This page gives various ways in which you can help raise funds for the Turunç Cats. If you would like to know how to raise funds for Turunç Cats with no cost to yourself, then please check out our Easyfundraising page here. We have some fantastic news. Today we have been given the ok to open the cat shop on Sunday (Tomorrow). We will be open from 10 til 14.00. Our Charity registration process is nearly complete, so we are going to hold a re opening do next week to celebrate Turunç Cats Welfare becoming a registered charity. We would like to thank everyone who has supported us. There will be free cakes and drinks at an opening ceremony where we hope some special people will be attending. Everyone is welcome, we are looking forward to seeing you all there. There is a map showing the new shops location here. We have found a new shop just off the main street. At the moment we are ‘crossing T’s and dotting I’s’ but hope the new shop will be open for business by early June. If you would like to help us to raise funds for The Turunç Cats, then please consider using the link below when online shopping. This month we lost our shop in the main street. This had been kindly provided free of charge for the last eight years by the Loryma Hotel, but they now need the use of it. If you would like to make a donation to Turunç Cats Welfare, please use the Paypal button on this page, or if you're in Turunç you can give your donation to any of our committee members whose names are listed here. On 5th October 2013 we will be having a sponsored walk from Turunç to Kumlubuk - a distance of about 5km. Once we get to Kumlubuk we will be having a party on the beach. If you will be in Turunç on that day and would like to take part, you can download a sponsor form here. If you're not in Turunç, you can still support us by sponsoring someone taking part. Lea and myself will be walking for the cats and calling ourselves 'The Cabin Crew'. If you have some friends that would like to help, please download the sponsor form and collect as many names as possible. For all you lovely people that are supporting The Turunç Cats, we can now accept donations by PayPal. If you would like your donation to be spent for a particular cause, i.e the quarantine cabin, please let us know by dropping us an email here or via our facebook page. A very big Thank you to everyone giving donations or spending money in our shop. The 'Sponsor a cat' scheme has started. At the moment we can make it available only to anyone who is visiting Turunc. We are working to extend the scheme to website and facebook visitors as soon as possible. Check the sponsor page here. 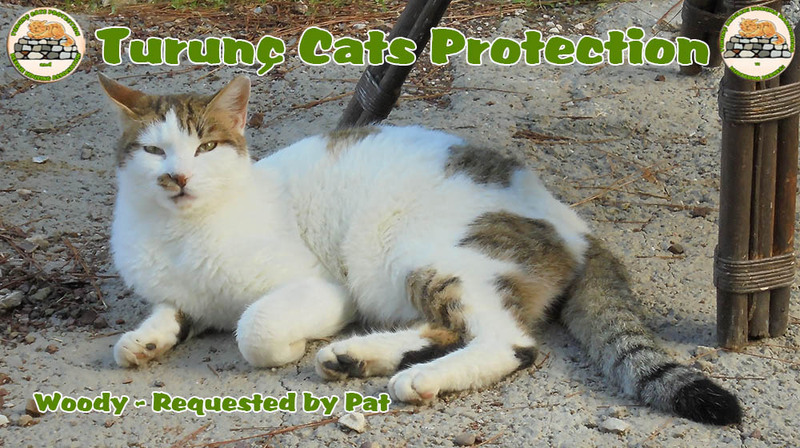 We are starting a sponsor scheme for our cats at the cabin and two other small colony’s. More details on the sponsor page. We have held a number of coffee mornings. These events were very well supported by the local community and holidaymakers who all enjoyed a taste of home made cakes and a good natter. How it works is that you do your online shopping in the same places i.e. Thomas Cook, Amazon etc but when you access them through this site they make a donation which varies depending on what you buy. There is no additional charge to you for using this service. With over 2000 suppliers using this service, you are sure to find your usual shop. You just have to sign up and register Turunc Cats Welfare as the cause that you would like to support. Give it a try today. Thank you. If you're not into online shopping, there is still a way you can help. (And at no cost to you). By doing all your web searches through the link below, the Turunç cats will get a proportion of any money raised. To make your life easier, make easysearch.org.uk your homepage. We were very fortunate to have had the active support of Ali Fuat Fidan whilst he was the Turunç Mayor. He arranged for the Marmaris Belediye (City Council) Vet, A. Bora Deveci, to come to Turunç to carry out the neutering operations. Marmaris Cat Shelter loaned us cat carriers and gave advice and contacts to help get us started. When the cats needed more cages, Les - our treasurer kindly donated the proceeds from a raffle towards the cost. 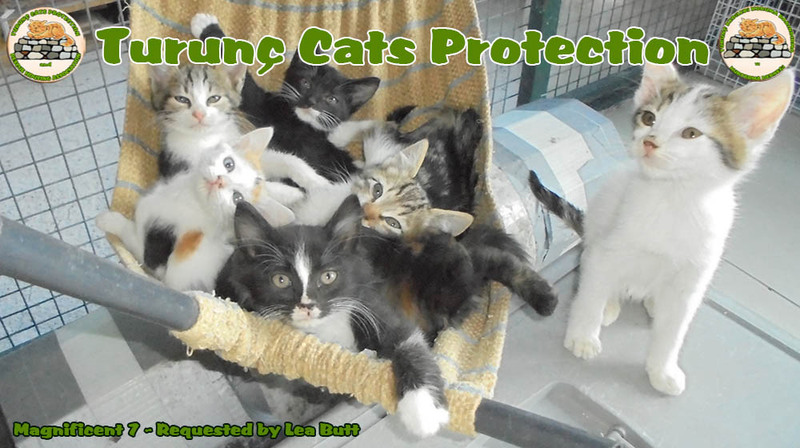 The Coventry branch of the Cats Protection League in the UK gave us refurbished cat catching equipment when we first started and has continued to pass on to us valuable kitten cages and hospitalisation cages for sick cats. Flythomascook.com has allowed us free excess baggage to bring the equipment out to Turkey. The Cats Protection League Head Office has donated two new cat traps and injection cages for use in Marmaris to support local cat-lovers who areworking in that town.